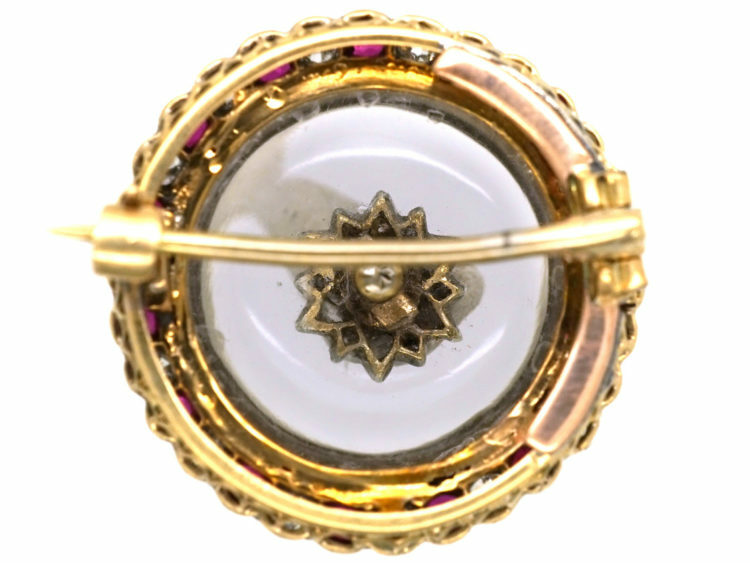 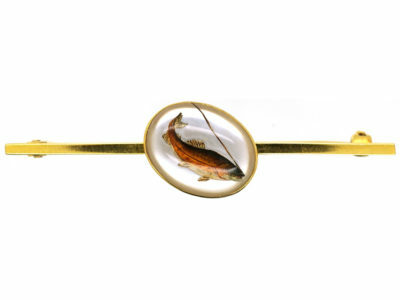 A stunning 15ct gold and rock crystal brooch that was made circa 1900. 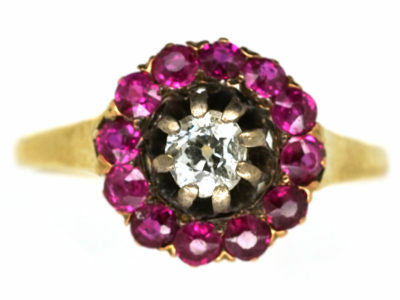 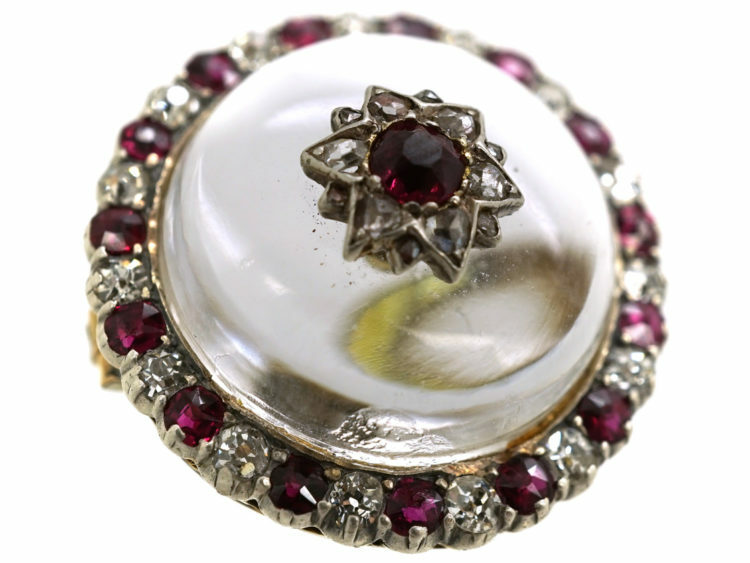 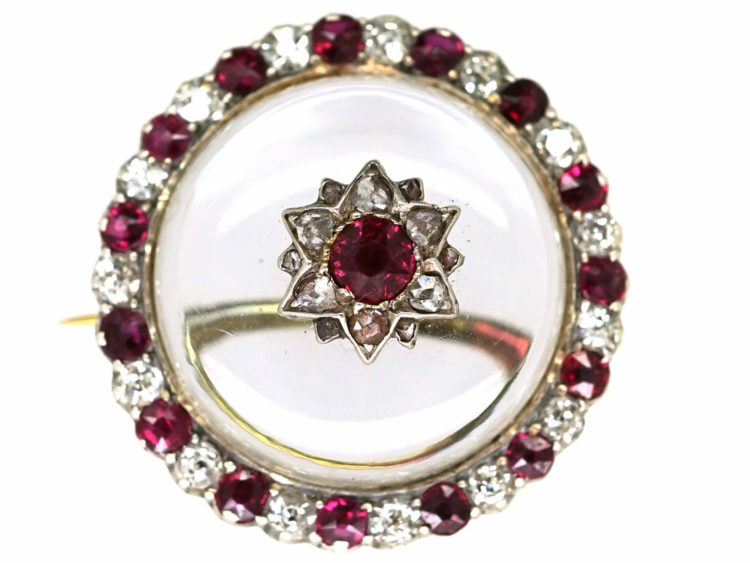 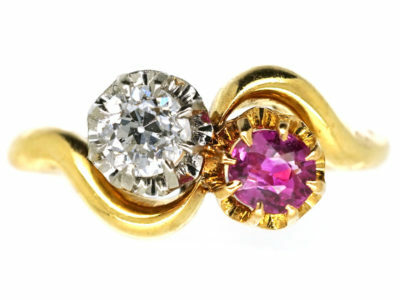 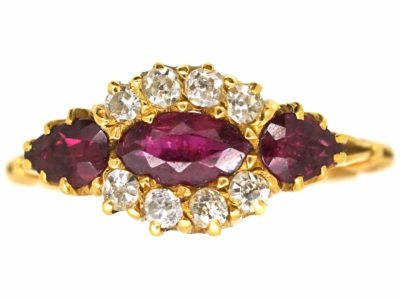 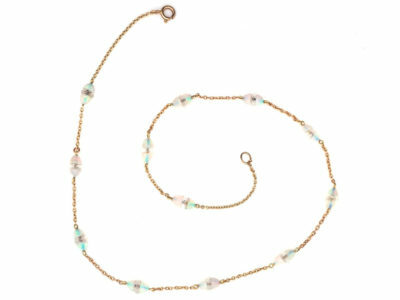 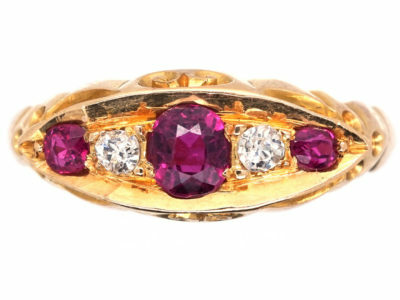 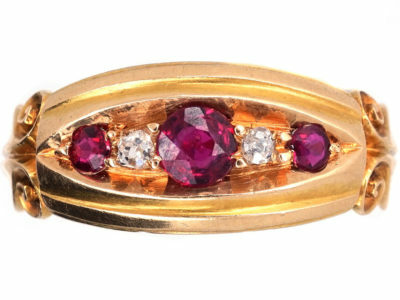 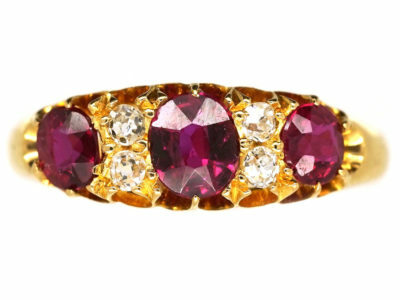 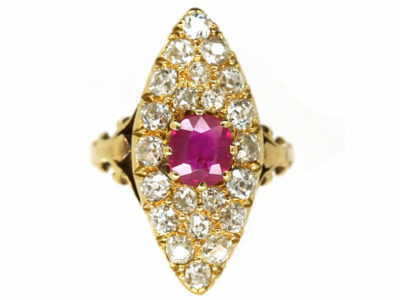 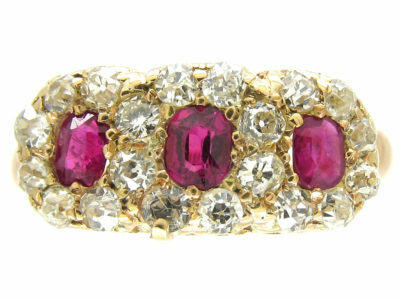 It has been beautifully made with a dome shaped natural rock crystal surrounded by alternating rubies and diamonds. 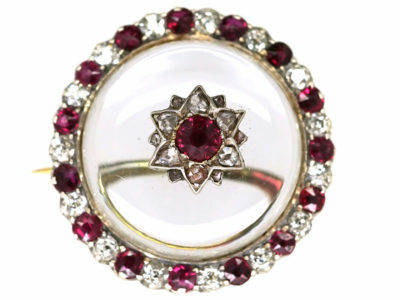 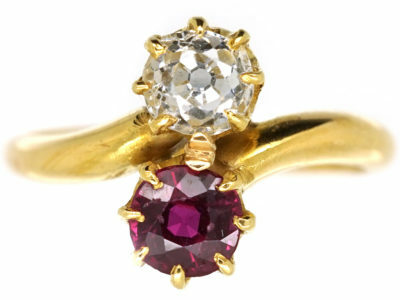 In the centre of the rock crystal is a star shape set with a ruby and tiny rose diamonds around it. 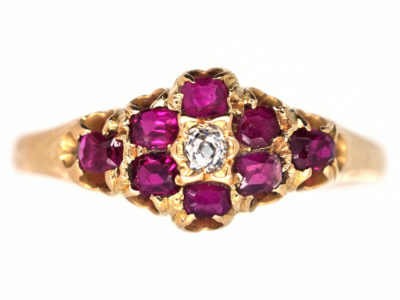 It would be a wonderful Ruby anniversary present.